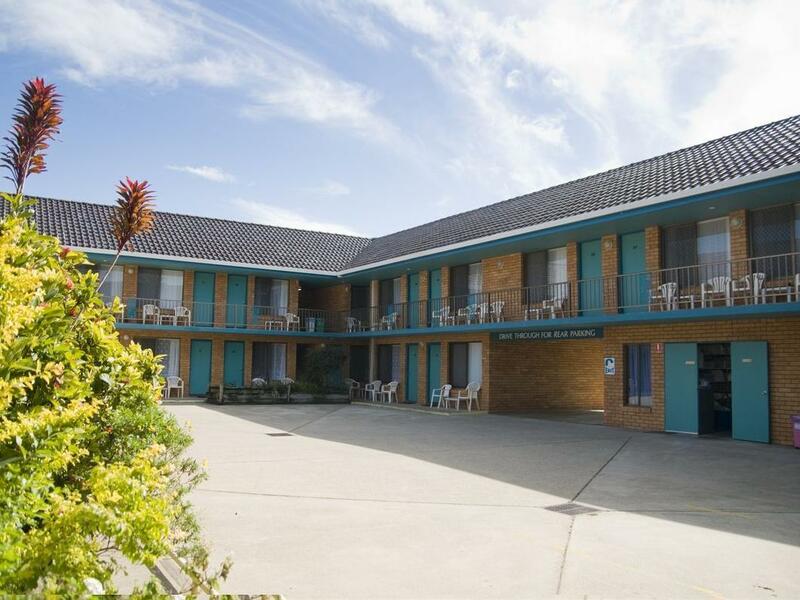 الخيار الأفضل للحصول على المتعة والاسترخاء، Coastal Bay Motel Coffs Harbour يقع في منطقة رائجة من أفضل مناطق المدينة. يمكن من هنا للضيوف الاستمتاع بسهولة الوصول إلى كل ما تقدمه هذه المدينة النابضة بالحياة. سوف يعشق النزلاء موقع هذا الفندق، فهو قريب من أهم المعالم السياحية في المدينة . يعمل Coastal Bay Motel Coffs Harbour على ضمان إقامة مريحة لضيوفه من خلال خدماته الممتازة وحسن ضيافته. هذه بعض الخدمات الموجودة في هذا الفندق: واي فاي مجاني في جميع الغرف, واي فاي في المناطق العامة, صف السيارات, غرفة عائلية, مرافق للشواء. استمتع بوسائل الراحة الراقية في الغرف أثناء إقامتك هنا. بعض الغرف تتضمن تلفزيون بشاشة مسطحة, بياضات, مرآة, مناشف, إغلاق لمساعدتك على استعادة طاقتك بعد يوم طويل. سواء كنت من محبي الرياضة أو كنت تتطلع لتفريغ عناء نهار صعب، ستجد خدمات ذات مستوى عالي بانتظارك كمثل حمام سباحة خارجي, نادي للأطفال, حديقة. يحظى فندق Coastal Bay Motel Coffs Harbour بموقع ممتاز وخدمات يصعب منافستها. Very cosy ,neat place, stayed overnight with children, near to beach, friendly staff. Parking is the only issue as the car spaces are not allocated so we had to park outside on street that too bit far from place. The toilet hasn't been cleaned. I had to clean it before use. Previous occupants rubbis was in the room. When I complained about the toilet the lady totally ignored it, didn't believe and indirectly tell me a liar. I booked through Agoda, she said they blocked Agoda and they don't take any responsibility if the room doesn't match like in Agoda side. We suppose to get a king bed but we got a queen bed. This time we stayed in unit 6 and it was smaller than the upstairs unit we stayed in last time. It had been newly renovated and was very clean although small. The relieving managers were very helpful and friendly. The family had a great stopover on the way to the Gold Coast. The room was spacious, the shops were close by and it was only a short drive to the restaurant strip at the Jetty. For a quick overnight between qld-nsw drive... Very streamlined, easy, welcoming! Close to town, quiet and a nice place. Our stay would have been perfect if the staff had more people skills. Asking guests "can't you read?" And marching up the stairs and ordering us "go inside and shut the door"at 10pm on a Saturday night was completey un called for! It would have been appreicited to be spoken to like adults no morons! Excellent. Would stay there again. Staff are professional - Rooms clean and well serviced . Our stay was quite pleasant.The bed was very comfortable, and the hosts obviously understand the needs of their guests as the large sized coffee mugs and wine glasses were a welcome surprise indeed. I neglectfully left a couple of shirts in the room on our departure but they rang to inform us and arranged to hold them for collection on our way back thru Coffs. Top marks for customer service. clean, and close to the highway and supermarket.